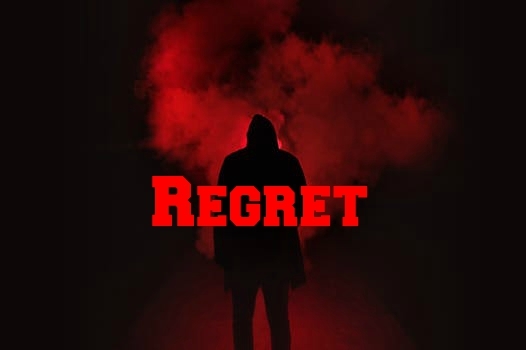 We regret things we did…..
and we regret things we didn’t do. One of the reasons regrets can be extremely difficult to deal with is because the action or lack of action is in the past. Sometimes we can go back and apologize. But there are times when we no longer have the chance to go back and try to make it right – we’ve lost touch with someone, situations have moved on to where there can be no positive conversation or, the big regret, someone has died before we got a chance to mend the rift. Several times we read in the Bible that people were ‘gnashing their teeth’. I can’t believe I didn’t notice that and say something or do something about it. I should have called him as soon as I thought about him. I am so sorry I didn’t tell her I loved her – now it’s too late. When it’s too late to try to make it right, you and I are left ‘gnashing our teeth’. It hurts every time we think about it. This phrase is always used in the Bible in relation to our final judgement. For those of us who have believed and accepted salvation through Jesus, God has forgiven our sin once and for all time and we will go to our eternal home with our Father when we die. Those who have not accepted salvation will have to pay the price for their rebellion and sin by being separated from God. And they will experience the ultimate regret of missing the most important and beautiful and fulfilling relationship they could have had here on earth. They will be ‘gnashing their teeth’ because the Light will leave their world. They will exist in a dark and evil place under the rule of the Father of Lies. Regret for missing the truth. Regret for not admitting their sin and accepting the free gift of God’s grace. Please open their eyes, Abba Father.